Rimanelli’s offers full service alterations for men, women, and children. Alterations can make a piece that originally didn’t flatter into a perfect fit. Alterations are less extensive changes to the garment that also change the way the garment fits, and are usually focused on one particular fit area. Adjusting sleeves, hems, and more can transform the look of a garment, and help you to look your best. Rimanelli’s specializes in high quality custom tailoring. Tailoring refers to a garment that is custom-fitted for the wearer. Of course, since the garment is custom-fit, it looks impeccable on the person it was made for. Tailoring creates a tremendous difference in the look and fit of your clothes. 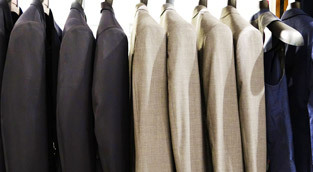 Made to measure shirts, suits, and sport coats from metro Detroit’s voted Best Tailor are all at your fingertips. 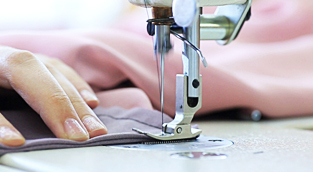 Why choose custom tailored clothing from Rimanelli’s? Rimanelli’s wardrobe consulting services have a fashion professional working one on one with you to learn the rules for choosing clothing and accessories. We will provide you with guidance on the type of colors, patterns, and clothing styles that are best for you. For your ease and convenience, Rimanelli’s also makes house calls. This service is available by appointment only. Call Rimanelli’s at 313-882-0173 today! Rimanelli’s of Grosse Pointe Woods has been tailoring men and women for over 30 years. Now in its second generation, Anthony Rimanelli proudly considers customer service as the number one priority when it comes to his store. The cornerstone of personal service at Rimanelli’s is the expert tailoring which earned it the “Best Tailor” award from Detroit’s Hour Magazine in 2004. 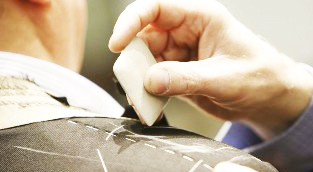 Full service alterations from the skilled tailors ensure a perfect fit every time for every member of the family. Rimanelli’s also carries a large selection of in-stock suits, sportcoats, slacks, sweaters and knits as well accesories. Among Anthony’s specialities is his knowledge of custom suits, slacks, sportcoats and shirts. Thank you for sewing on my buttons. In today’s day and age it is so refreshing to see someone do something nice for someone, just because. Your kindness meant more to me than you can imagine. I am so grateful I met you. The Augusta green sport jacket was at the door Monday as scheduled. I love it and the fit is superb. Thanks for the excellent personalized service. We couldn’t be happier. I will be back to you in the future and will highly recommend you and your services to anyone needing special apparel. Many thanks for the hours of entertainment, hosting and fine work on the suits and other tailoring. You are truly the quintessential haberdasher! I wanted to pass along gratitude for your point of view ensuring my wardrobe best reflect’s who I am. Over the years you’re been a champion in recommending aspects of my professional and personal life clothing needs. Your sense of fabric / print selection, companion pieces and tailoring all hit the high mark – all these important dimensions are very exceptional. You run a fabulous business…. and…. are always great to be around. Continued success to you. Haberdasher may not be the most common word these days, and it is usually categorized as a "personal dresser" or "stylist". However, the exact definition of a haberdasher, is exactly what I, Anthony Rimanelli is; a person that sells men’s clothing and accessories. Copyright © 2018 Antonio Rimanelli. All Rights Reserved.